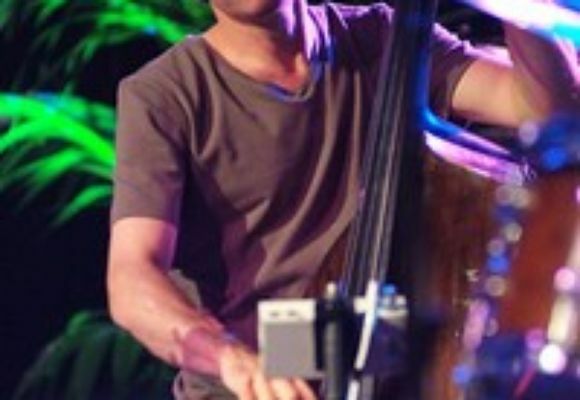 Larry Grenadier (born February 6, 1966 in San Francisco) is a jazz bassist. He has performed and recorded with John Scofield, Pat Metheny, Brad Mehldau and Bill Stewart, among others. His recent work with his band 'FLY' features a stunning collaboration with long time friend and drummer Jeff Ballard and tenor saxophonist Mark Turner. Larry married singer/songwriter Rebecca Martin in June of 1997. The two reside in New York State and have one child, Charlie James Grenadier (born 12/21/05). He graduated from Stanford University in 1989 with a degree in English Literature.